The following guest post is written by Alexis Jackson, a graduate student at Brown University in the History of Art and Architecture department. You can find my project, “Of Monks and Men” at https://experiment.com/projects/of-monks-and-men-how-medieval-construction-brought-monasteries-and-lay-communities-together. In any field, one of the major challenges of graduate school (and, I believe, academic careers more generally) is finding funding for our research. Even in the most generous Ph.D. programs, reasonable funding for the summer months is limited. The problem is exacerbated for archaeologists, who are expected to travel and participate in costly excavations during the summer, often with considerably less support from universities than during the academic year. Yes, there is competitive funding available from a variety of sources, including the much-maligned NSF as well as smaller and more specific grants. However, the majority of grants (especially those involving larger sums of money) require applications to be ABD (i.e. to be working on a dissertation project). For those in the first few years of their programs, this creates a problematic catch-22: need money to travel and research to develop a viable project, cannot apply for money without said project. Experiment.com, the scientific crowdfunding site that is hosting my project, calls these “edge cases”: situations where traditional funding structures fall short. Crowdfunding gives researchers to do two things at once: generate reasonable funding to move their research projects forward and find new ways to communicate to the public about the value of archaeology and to interest them in “real” archaeological projects. How much does the public care about archaeology? The public perception of archaeology lies somewhere between the ivory tower and Indiana Jones. Public outreach is undoubtedly important, but the tone of public interaction and the form outreach takes is under hot debate: we want to spark people’s interest in history and the experiences of historical (and pre-historic) people without waving “treasure” around, as archaeologist April Beisaw argues. On one hand, we are trying to make archaeology more approachable. There is an increasing push toward open access research, which should grant a greater number of people (researchers and the public alike) access to academic publications. There are other movements among archaeologists to improve the quality of public writing about archaeology. There are excellent websites, pages, blogs, Tumblrs, and Twitters run by archaeologists (as well as heritage groups, museums, and professional organizations) which reach out to the public. Although most crowdfunding sites, like the popular Kickstarter.com, focus on the product (“give us money and we will give you something in return”), newer academic crowdfunding websites shift the focus onto the process of research. This shift works hand-in-hand with what researchers are trying to do with the public image of archaeology: move away from splashy headlines about mysterious treasure and the rusticating corpses of long-lost kings and move toward an interest in the genuine value of archaeological research. It is my hope that crowdfunding my project will both help me to reach a varied “crowd” that includes and interests members of the non-academic public, and that it encourages people to invest themselves literally and figuratively in the production of new archaeological knowledge. 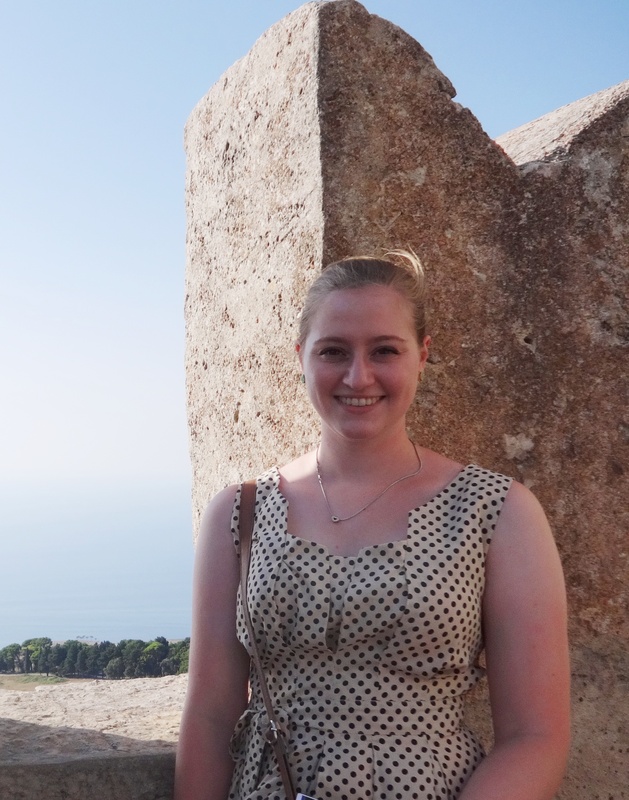 Alexis Jackson studies the architecture and archaeology of medieval monasteries. She received her B.A. with honors from the University of Pennsylvania in 2012, where she studied European History, Art History, and Classical Studies. In 2011, she participated in the Saronic Harbors Archaeological Research Project, which inspired her interest in landscape archaeology. In 2013, she excavated with the University of L’Aquila at the site of Amiternum, in the Abruzzo region of Italy. Alexis’ research interests include the study of how hospitals and monastic outbuildings relate to the greater (physical and social) monastic landscape in the Middle Ages. As an S4 Fellow with Spatial Structures in the Social Sciences at Brown, she is also interested in employing GIS applications for mapping social networks that include people, places, buildings, and objects as active participants. As part of our New Year’s resolutions we would like to invite all members of the Rhode Island Chapter of the AIA and archaeology enthusiasts to imagine a new, more inclusive, engaging and stronger Narragansett Society! We want to hear from all of you. Don’t hold back—we want your input, ideas, suggestions, complaints, and wishes. This is an opportunity for all the members of the society to have a say and mold the future of the organization, including aims and activities of the society according to their interests and needs. Join our conversation series this January 2014. Tweet, comment on our blog, email us, post on our Facebook wall and be a part of the discussion! We have devoted each week in January to a specific topic, but if there is something that you would like to share and it is not listed under any category below, please submit it so that we may include it in our conversation. 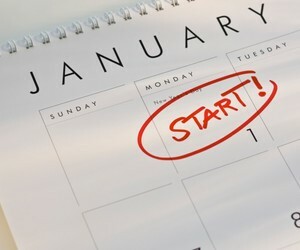 A new blog post at the end of each week in January will feature a summary, comments, and outcomes of the topic at hand. This week we are talking about events and we ask you to tell us what events you would like the Narragansett Society to organize for its members and the Rhode Island community in general. 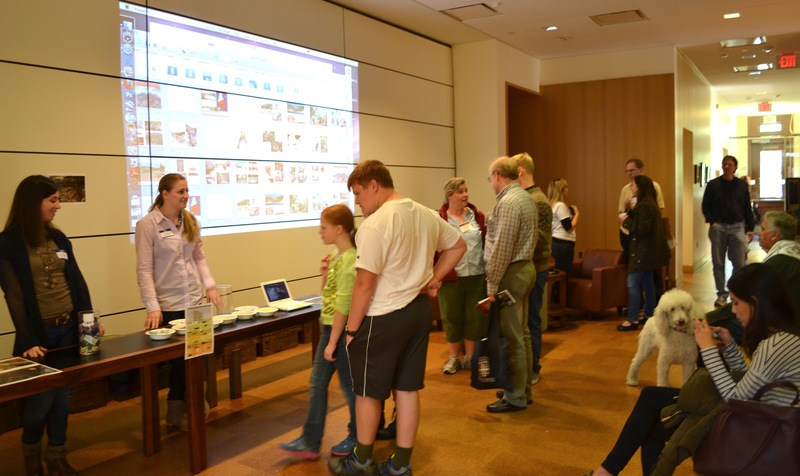 These can be weekend activities, hands-on workshops, discussion forums, etc.—your call! We would also like feedback on the events we planned for you in 2013! Were you able to join us? Did you have the information you needed? Are we doing a good job publicizing our evenst? Give us advice! One of the main annual events of the AIA is International Archaeology Day, so let us know if you joined us this year and share your experiences! Let us know if you have ideas and suggestions for the upcoming Archaeology Day in October 2014. Most of us knew we wanted to be archaeologists from around the age of 9 so we like to stir enthusiasm for the past from a young age! How can we engage more with our local schools? How can we help them understand the value and the relevance of the past in our own lives? What activities would the school students enjoy? How can we work more closely with teachers and parents to introduce an experiential way of learning about the past? Students, parents, and teachers, let your voices be heard! Every year we are fortunate to host a series of lectures from renowned archaeologists sponsored by the AIA. Many of these lectures gravitate heavily in the archaeology of the Greco-Roman world. We want to know if you are interested in attending lectures about other geographic regions and time periods. 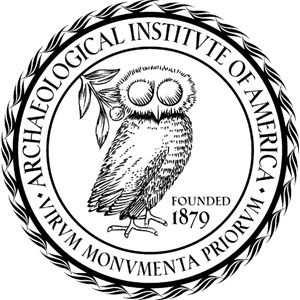 Rhode Island is home to many academic institutions with archaeologists and anthropologists working all over the world and we are looking for ways to bring their work to our Rhode Island community; so help us with your ideas, comments, suggestions to make this a reality. In addition, one area we feel is missing is more lectures on Rhode Island archaeology and if you have an interest in local archaeology or work in this field, reach out and let us know how we can accommodate your interests and promote your work! For the last couple of years the Narragansett Society has been run by postdoctoral fellows and graduates students in Archaeology at Brown University. While it is a pleasure and honor to serve at these positions we want to encourage colleagues from other institutions and interested parties to also be involved. The society will benefit greatly from more stability that would allow for long-term planning and stronger ties to local societies, schools, and other cultural and educational institutions. Graduate students, colleagues, and archaeology enthusiasts: we need your help to build a stronger society, so please join us in running the Narragansett Society! It is not very time-consuming, it is fun, it provides the opportunity to meet leading figures in the field, collaborate with a variety of institutions and work on your organization and communication skills! This past Saturday, the Joukowsky Institute for Archaeology & the Ancient World at Brown University opened its doors in celebration of International Archaeology Day. 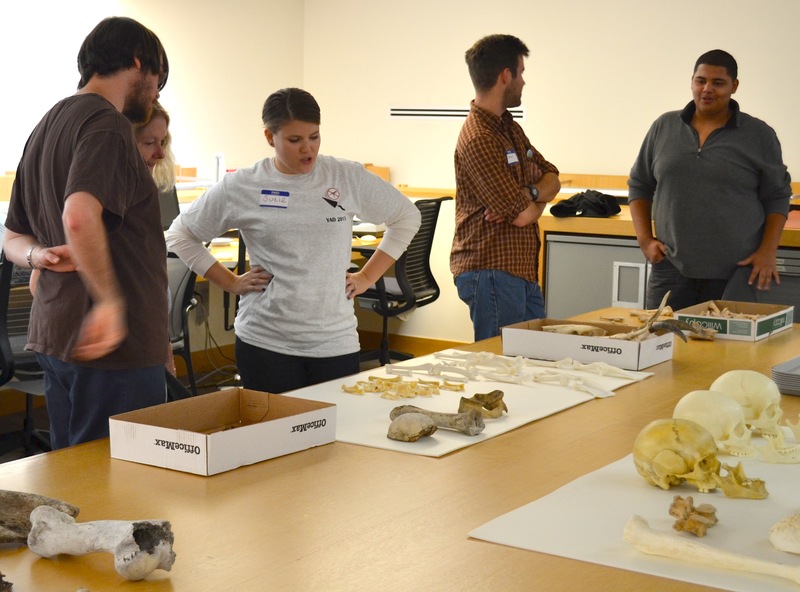 AIA Narragansett organized a range of events and activities, including a stratigraphy station; an artifact lab featuring pottery, coins, glass, and figures; and a bone lab with human and animal skeletons. We also welcomed young archaeologists in grades 7-12 (and some much younger!) for Young Archaeologists’ Day. 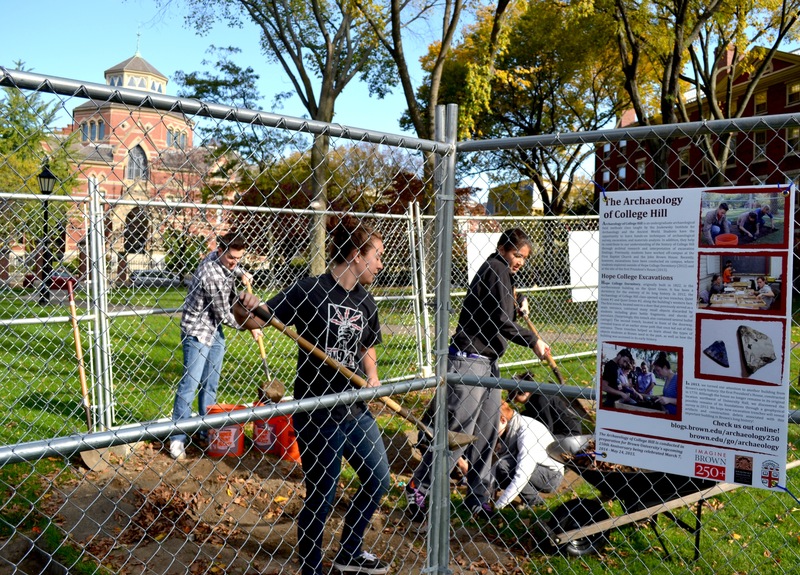 Outside, the Archaeology of College Hill class was excavating the home of Brown’s first president and accepting volunteers; we also set up an area where visitors could take part in reconstructing the footprint of ancient homes. And of course, the Haffenreffer Museum also had a full day of events. Here are some of our favorite photos from the day. 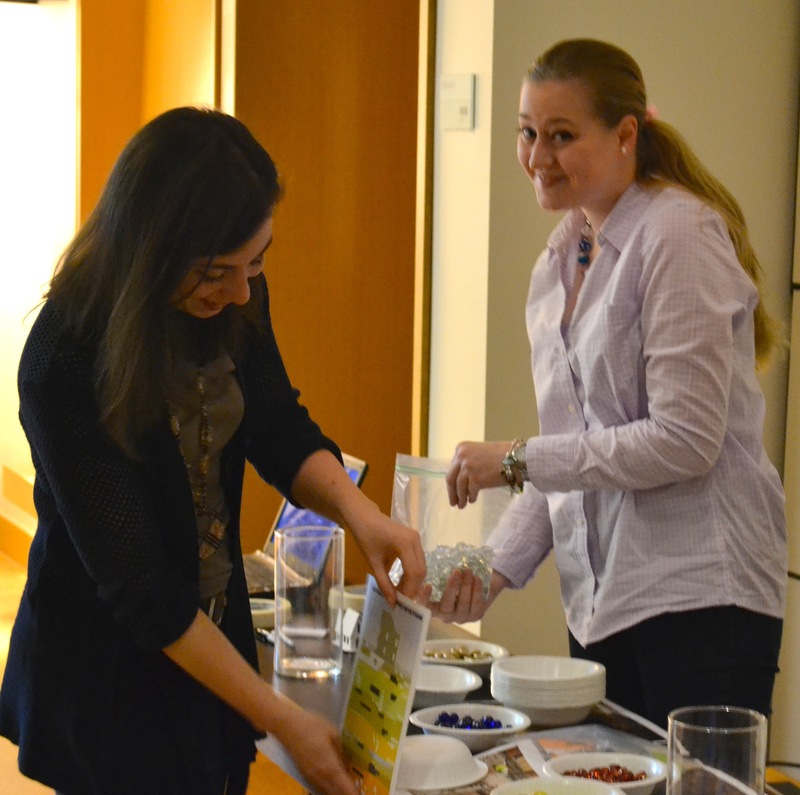 Graduate students Alba and Lexi prepare the stratigraphy station-an essential first stop for understanding archaeology! Postdoctoral fellow and AIA Narragansett co-president Fotini shows pottery to a young archaeologist. 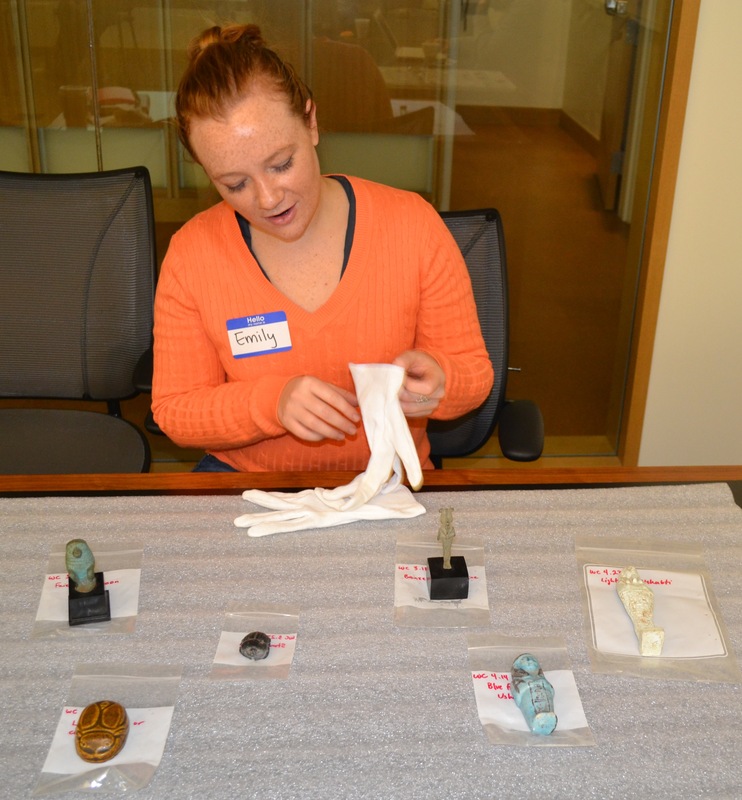 Graduate student Emily is preparing to handle some Ancient Egyptian figurines. Postdoctoral fellow and AIA Narragansett co-president Suzanne and undergraduate senior Simon show animal bones to visitors. 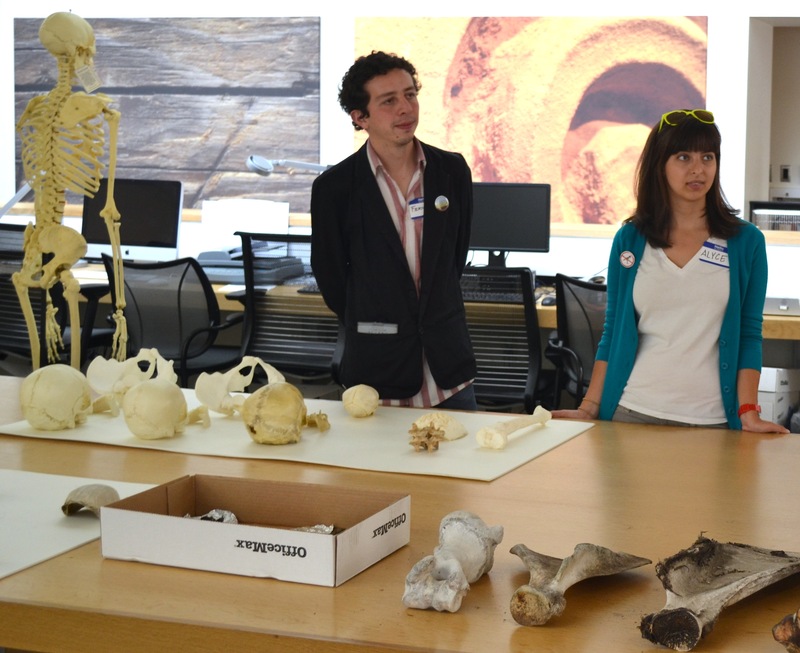 Graduate students Alyce and Fernando talk human osteology. Students and volunteers dig the Archaeology of College Hill! Of course, none of the great activities above would have been possible without the help of our volunteers-who came from the departments in Archaeology, Anthropology, History of Art, Classics, and Egyptology and Ancient Western Asian Studies. If you attended and enjoyed the day and would like to be notified of future upcoming events, please consider supporting your local AIA chapter by joining the AIA and selecting “AIA Narragansett“. Thanks for a great day everyone-hope to see you next year!